Our Richmond sewer repair professionals can make even the toughest of sewer repair jobs seem easy. Your satisfaction in our first rate plumbing services is our number one priority. With over 20 years’ experience, our plumbing service is one of the best in the business. Our expert, professional plumbers use the latest in technology for sewer cleaning, removing tree roots, repairing or replacing broken pipes, sewer clogs and all other plumbing needs. You can be confident in our work, knowing that we are fully licensed, bonded and insured for your protection. Don’t trust your sewer replacement, inspection or sewer cleaning to anyone else. Call our team of Saratoga and Richmond sewer repair professionals today. Sewer clog – Clogs can be difficult to remove, especially if you don’t have the right equipment or training. Our plumbers are highly trained and use the latest high-tech equipment. Broken pipe – Repairing or replacing broken pipes requires a knowledge and understanding of pipe repair and replacement, as well as a lot of hard physical labor. We can repair or replace any pipe in a timely manner. Tree roots – Tree roots can cause expensive damage if left unchecked. We can handle all types of root removal and clearing, backed with a guarantee. Sewer inspections – Richmond sewer inspections require a knowledge and understanding of codes and how the system operates. Our highly trained plumbers can perform any sewer inspection to make sure your sewer system is performing as it should and is up to code. Sewer replacement – After an inspection, it may be determined that you will need a Richmond sewer replacement. You will rest assured knowing that we can handle big jobs as well as small with quality customer service. When it comes to sewer repair in Richmond and Los Gatos, we’re the company to call. We have years of experience and training under our belts and we always come highly recommended. If you need any kind of help with your sewer system, then please do not hesitate to give us a call at (408)215-4612 right away. 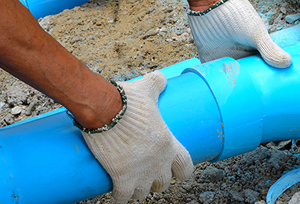 We are your go-to, reliable source for Morgan Hill and Richmond sewer repair. Our goal is to handle your plumbing problem fast, with respect and expert service, so that you will be your first choice for plumbing and sewer repair in Richmond.